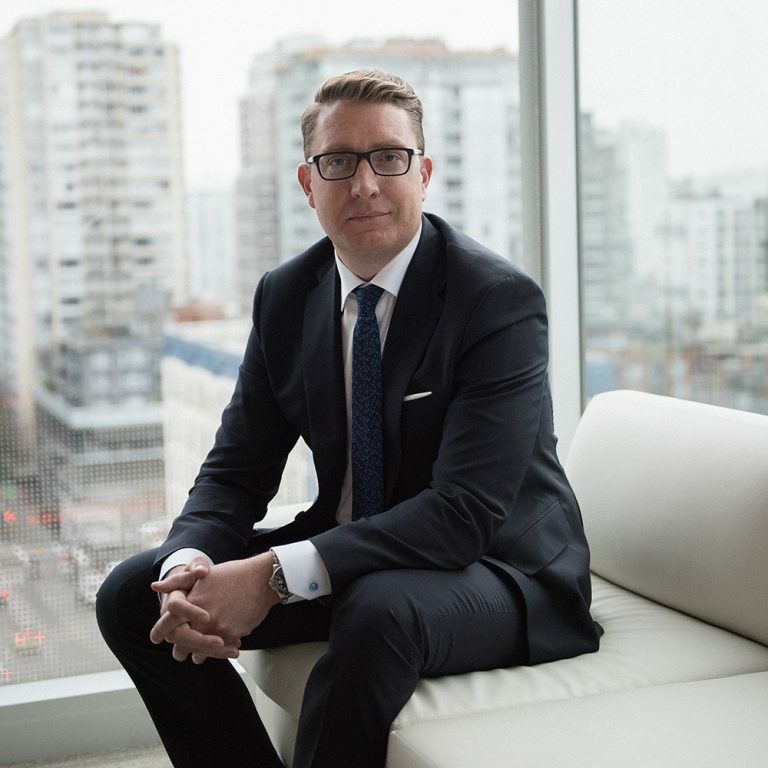 A fourth-generation lawyer born and raised in Vancouver, John exclusively practices plaintiff’s personal injury litigation. Advocacy is John’s greatest strength and privilege. He is dedicated to the craft of trial law. Known for providing exceptional, ethical service, John quarterbacks a legal support team that helps clients and their families navigate one of the most upsetting and stressful periods of their lives. There is no substitute for good health – and there is no limit to the time, effort and financial resources that John will devote to helping his clients heal as quickly as possible, obtain justice and move forward with their lives. John has been counsel in a number of precedent-setting cases, including the largest punitive damages award ever ordered by a Canadian judge for reckless driving causing injury. John prosecutes severe and catastrophic claims, including traumatic brain injuries, spinal cord trauma, and other neurological and orthopedic injuries. A significant component of John’s practice focuses on negligent injury to children, and holding those responsible for their health and safety accountable for the harms and losses they cause to children in our community. John has also been counsel in some of BC’s largest-ever damage awards for soft tissue injuries and chronic pain, post-traumatic headaches, and emotional and psychological trauma. His law practice also includes class action proceedings, medical negligence, fatality and family compensation actions, and wrongful denial of insurance coverage claims. John is proud to sit on the Executive of the Trial Lawyers Association of British Columbia (TLABC), which holds powerful insurance companies like ICBC to account by shining a light on their conduct. He is currently TLABC 1st Vice President. The TLABC fights for the rights of individuals, access to justice and the independence of the judiciary, while educating law-makers and the public about right and wrong in our systems of law. Away from the office John spends time with friends and family. John and his wife Karley have two boys, Lewis (“Lewie”) and Maxwell (“Max”). Other favourite pursuits include reading, cooking, playing mediocre golf, watching rugby, and following politics and the Vancouver Canucks.